UK: The government should increase the UK's local content target from 50% by 2020 to 60%, a former energy minister has recommended. This target should also require at least 50% of capital expenditure be sourced from within the UK, member of parliament Michael Fallon wrote in his Winning Locally, Going Global report. Fallon was commissioned to write the report by Wilton Engineering — an engineering firm from Middlesbrough in the north-east of England, near Fallon’s former constituency of Darlington — in February. Wilton Engineering is part of the UK's offshore supply chain, having secured work from leading developer Ørsted for the Hornsea Project One offshore wind site in the North Sea. 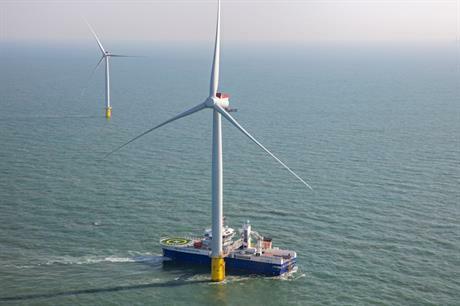 Fallon, who was a UK energy minister between 2013 and 2014, also called for the government to announce future auction dates and leasing rounds, as well as the proposed offshore wind ‘sector deal’, to provide certainty to the offshore wind industry. He further argued that the government should put offshore wind on par with the pharmaceuticals, defence, automotive and aerospace industries — which have "commitments to drive up skill levels and improve local content" — within its "Industrial Strategy" set of policies. UK export finance — government credit to enable international trade — should also be made available to UK companies already involved in or poised to take part in offshore wind overseas, Fallon added. The former energy minister said: "The huge investment to date has repaid the confidence shown by the government in its future over the last six years. But some of that investment has gone to European companies with no consequent impact on UK skills and productivity. "The priority now must be to ensure that more of this investment leads to the bigger prize: a genuinely competitive UK industry that can help build the wind farms now being envisaged in the Indian Ocean, the Sea of Japan and off the north eastern US seaboard." In September 2017, RenewableUK found that 48% of expenditure in planning, building, and operating the UK’s offshore wind farms went to UK companies — up five percentage points on two years earlier, when the previous local content report was carried out. Fallon argued it was therefore "timely" to reconsider the 50% goal, and claimed upping the local content target to 60% would help create skilled jobs and develop UK companies capable of competing for contracts in the UK as well as overseas. It would also "improve quality control", he argued, "especially where the alternative is to source work to cheaper, but lower quality yards in the Middle or Far East". Fallon added that local content reporting should be more transparent about "where the work is actually done". He argued that under current local content rules: "Work can be awarded, for example to UK-headquartered firms, which can then sub-contract further, with the actual work done elsewhere." Publication of his report comes in the same week that the Offshore Wind Industry Council — which comprises representatives from developers, research centres, and government bodies — launched its own review of the UK supply chain. Windpower Monthly will be at RenewableUK's Global Offshore Wind 2018 event in Manchester (19-20 June).